Compare funeral directors in Ashford and read verified reviews on the UK’s online funeral resource. 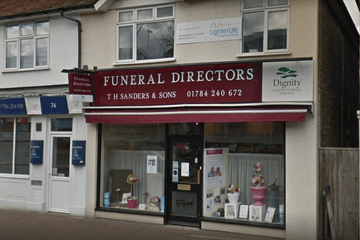 Use Funeral Zone Listings to find local funeral directors in Ashford that meet your specific needs. You can organise the search results by ‘best rated’, 'nearest' or ‘most reviewed’. There is also a handy Google Maps feature so you can see exactly where each funeral home is in relation to each other. Toby listened to the family and created the perfect send off for dad. It was a great comfort to have Toby oversee my fathers funeral. Mum and the rest f our family were very impressed with Toby's sensitivity and professional handling of everything.we got exactly the funeral we wanted and only spent money where we really wanted to. Thank you Toby! We were delighted with Simple Kent Funerals' handling of my father-in-law's funeral. At an obviously very distressing time we were totally unaware of what we should do. 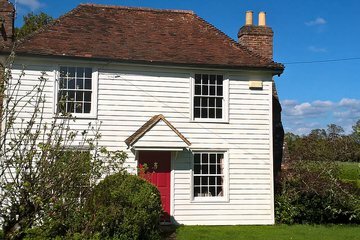 Toby explained all our options to us and we were really surprised and delighted to discover that we could be much more relaxed and informal than we had expected. He was really sensitive and understood exactly what we wanted and helped us achieve just that. He was particularly brilliant with the grandchildren who wanted to be involved in the service but were nervous about it and he completely put them at their ease. He helped us give Jimmy just the sort of send off he would have wanted. Their service is second to none, after the sudden passing of my mum financially we were struggling, Toby was so understanding helping us out with ideas and ways to make our special funeral happen, my mum didn't want a 'normal' funeral and Toby helped us to fulfill her wishes at an affordable cost. Our meeting to discuss the arrangements was relaxed and in a beautiful setting , Toby made sure that everyone was included in the service, and on the day went above and beyond his job role in chatting to guests and I feel that his chat with my two children helped them to understand and come to terms with things, both of them said how lovely he was and that they appreciated that chat and including them in arrangements etc. 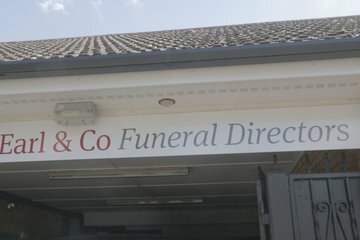 I would recommend simple Kent funerals to everyone who asks as they let you choose what you want, unlike the first couple of funeral directors that we contacted who I think thought we were mad!. Thank you Toby and team for giving my mum an amazing send off. I can’t thank Toby at Simple Kent Funerals enough. He took the stress away and we were able to give mum the funeral she wished for.